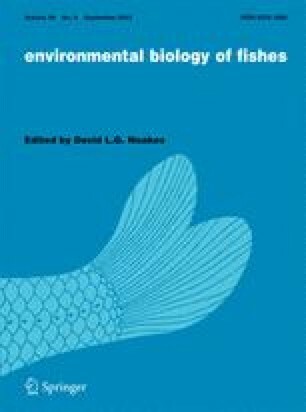 When I started the journal ‘Environmental Biology of Fishes’ more than 25 years ago, it was designed to avoid any prejudices and scientific dogmas, to keep an open mind, and to allow publication of ideas that are irritating to followers of the so-called ‘mainstream’, ideas that few other journals dared to touch (Balon 1976, 1989d). While such articles in the journal were often ignored by the ‘mainstream’ practitioners and the political establishment, none was ever opposed or proven wrong. As in many similar cases before, only time will show if these contributions were valid and of value to the advancement of knowledge. I have often wondered why it takes so long for some of the universal facts and ideas to be accepted or even to be known. I have come to believe that like with many textbooks some facts and conclusions are copied from one book to the next (as in the case of the origin of the common carp – Balon 1974, 1995a,b) without knowing or admitting that in the meantime new facts require new syntheses and conclusions. Even good scholars resist unknown facts or ideas. It is irritating that one's knowledge is inadequate or that others beat us to be first. I have wondered why wrong ideas persist for so long; but Bateson (1979, p. 206) already explained it to his daughter ‘... yes, your image of evolution is exact. And what Darwin called “natural selection” is the surfacing of the tautology or presupposition that what stays true longer does indeed stay true longer than what stays true not so long’. After all it was Jean Baptiste ‘Lamarckgrave, the founder of evolutionary theory, miserable, old, and blind, ...’ (Bateson 1972, p. xii) and/or Gottfried Treviranus who presented the truth long before the privileged Charles Darwin, alas in ‘wrong’ languages. Over time, ignoring the truth became fashionable and the question which of the four theories of evolution (Løvtrup 1982) can be attributed to Darwin, if any, irrelevant. ‘It is’ [exclaims Croizat 1977, transl. 1987, p. 137] ‘a gross, very grave mistake to confuse Darwin as a historical figure with Darwin as an exalted figure of the thinking of biology’ (Croizat's italics). Nearly 30 years ago a BBC TV series and book on evolution glorified Darwin and molecular biology. Calder (1973, p. 9), the author of this book entitled ‘The life game: evolution and the new biology’ felt that Darwin ‘would [merely] need to know about the survival of the quickest, when it came to crossing the street’. But the street was never crossed! Many TV viewers of the recent PBS series ‘Evolution’ were again misled into believing that evolution was discovered by Darwin. Even Gould (2001) in the ‘Introduction’ and the producer Hutton (2001) in the ‘Foreword’ to the companion book of this series (Zimmer 2001) give the ‘Darwinian evolution’ [sic] an exposé it hardly deserves. While such views have been repeatedly proven wrong, most scholars, with the exception of a few scientists, philosophers, and journalists, comfortably assume Darwin's priority in spite of numerous published evidences to the contrary. This myth is then fed to the general public. The following retrospective essay attempts to compile proofs in support of the evolutionary processes other than Darwin's natural selection and the gene-centric ‘new synthesis’, old by now as it is.